Is Assyria merely a more brutal, more uncivilized and less interesting offshoot of the culture created by Sumerians and Babylonians in Southern Mesopotamia at the dawn of history? Do the countless Assyrian reliefs that fill our museums give a complete picture of the phenomenon that was Assyria? Was the contribution of this people to world culture merely an incredibly effective military organization? Is it a true picture of Assyria that the reliefs and annals give us, with their presentation of war chariots, archers, battering-rams surrounding besieged cities, the punishment of prisoners of war, and the triumphal march of the Assyrian army through the realms of the Near East? Have we no evidence of the human element behind this phenomenon? How far may we rely on the Biblical descriptions of the cruelty of the Assyrian armies and the depravity of Assyrian cities? How are we, who can look back on the incredible events of the European wars of religion, on the conduct of Europeans towards the Indians of America, and on man's recent treatment of his fellow-man, to judge these Assyrians? 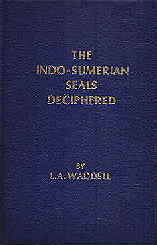 The rather answer to many of these questions is to be sought they in the personal documents of the time than in the official inscriptions, in the letters Assyrians wrote to one another rather than in the annals of their rulers. Truth resides more often in the letters from one human being to another: distortion of facts often insinuates itself more easily into public proclamations intended for contemporary or subsequent acceptance. 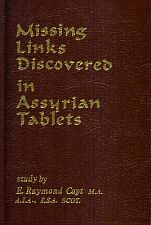 Therefore, in an attempt to rehabilitate the Assyrians and to provide a truer picture on which to base their reputation, their official inscriptions are, with few exceptions, excluded from this book. The basis of presentation here consists of historical sources that must in every respect be regarded as primary, namely the correspondence discovered in excavating the archives of Assyrian kings and governors.